"I was so excited to get this because I purchased it for my husband. He has been looking for round lense sunglasses. I am so thrilled to have found these I just know he is going to love them. They are so nice and built really good, very nice quality. Nice weight but not to heavy. They are very clear when you look out of themas well. They come with a carrying case that zips up, a small screw driver for glassses and a cleaning cloth. I know that will come in handy because you can keep it all together in one place inside the case. 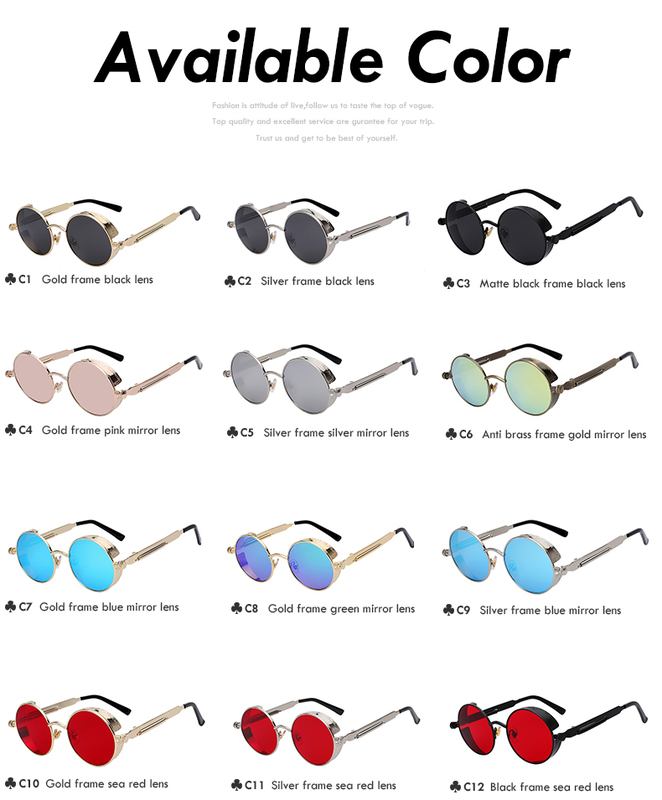 You can get those Steampunk style of glasses for HALF PRICE, but only for a limited time. An iconic style of Victorian age forged in the industrial past, born in between two worlds. Design wanders back to a past age with a hint of the future. 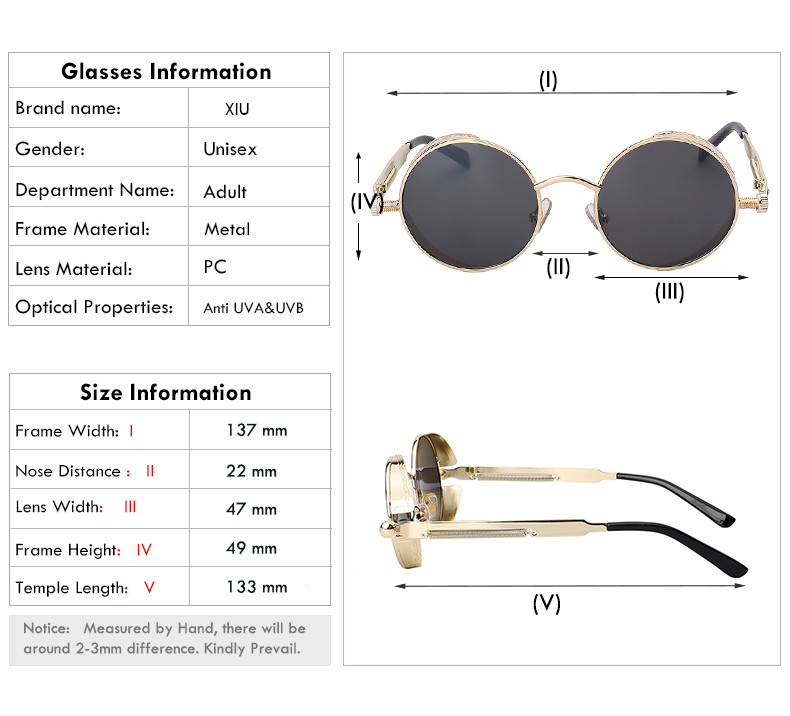 Sunglasses for every Steampunk fan and Steampunk Fashion enthusiasts! $2.95 Flat Worldwide Shipping rate.